1. Melt 1 tsp butter in a large, nonstick skillet over medium heat. Add spinach; cook an stir until wilted. Remove from heat. Transfer to small bowl. Wipe skillet dry. 2. 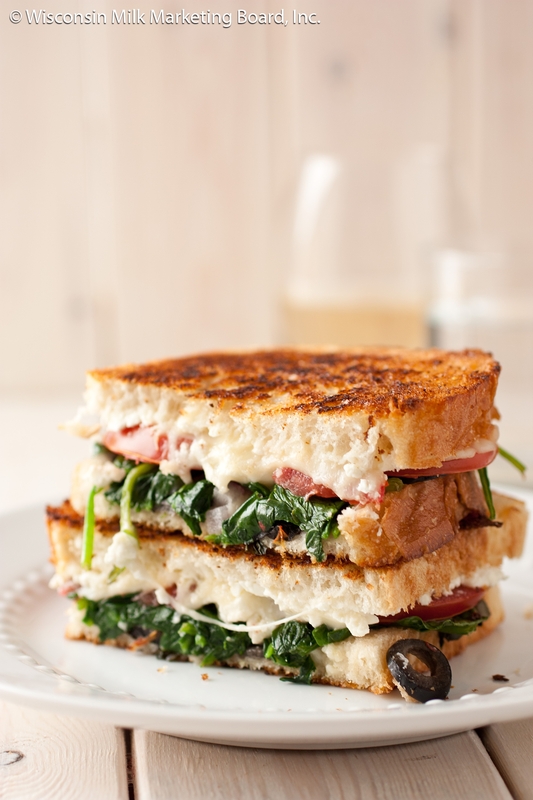 Sprinkle one slice of bread with mozzarella and feta. Layer with tomato, spinach, and olives. Top with remaining bread. Spread the outsides of the sandwich with the remaining butter. 3. Warm the same skillet over medium heat. Toast sandwich, covered, for 2-3 minutes or until the side is golden brown. 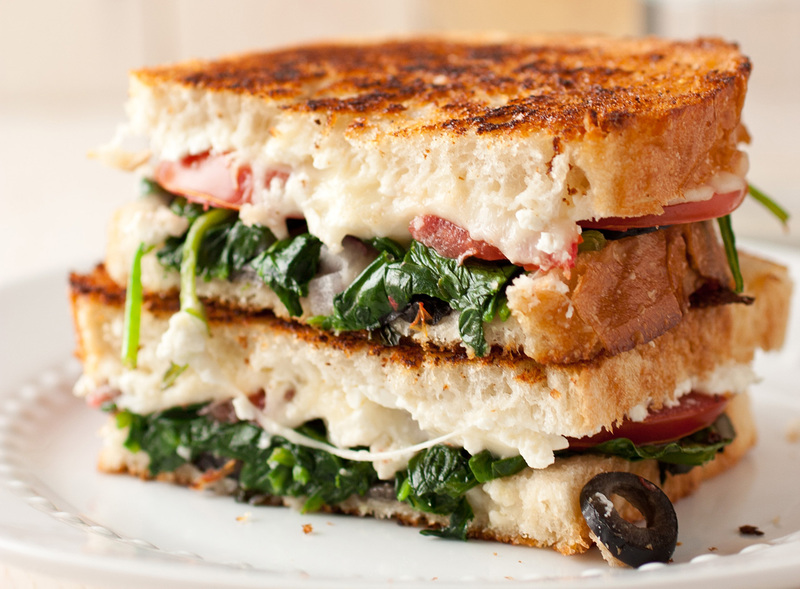 Flip sandwich; cook, uncovered, 2-4 minutes longer or until bread is lightly golden brow and mozzarella is melted.